Yes. It’s me again, with another homemade ice cream recipe for you this year. I have no idea what has happened to me lately, as this is not my usual inclination, to crave so much ice cream. If it sounds like I’m complaining, really I’m not. I’ve been enjoying every last lick and spoonful! My latest creamy frozen creation involves one of my very favorite combinations: fresh raspberries and fudgy brownies. 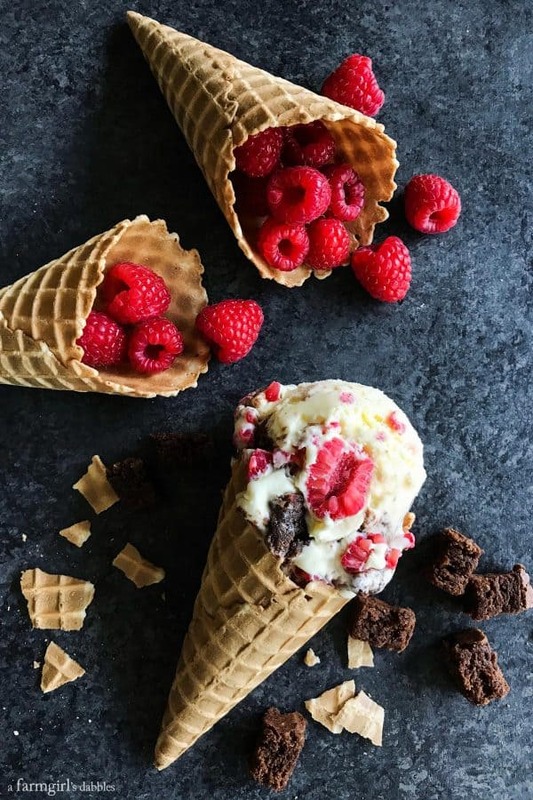 When there is a pan of brownies cooling on our kitchen counter, there’s nothing better to me than a warm brownie topped with a scoop of vanilla ice cream and a tumbling of sweet raspberries. So why not put it all together, in one pretty package? 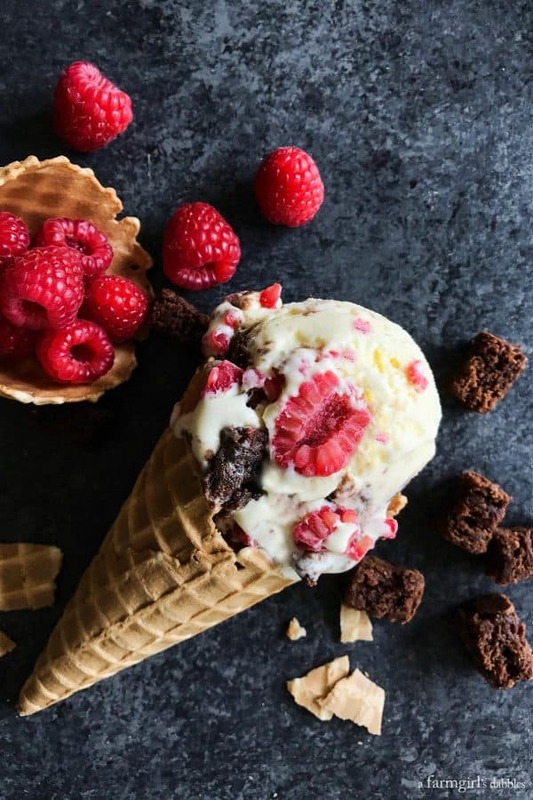 This Fresh Raspberry and Brownie Chunk Ice Cream could be my signature ice cream, no doubt. 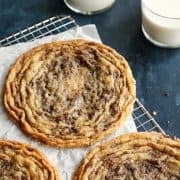 * This is a sponsored post, created in partnership with Driscoll’s and TheFeedFeed. 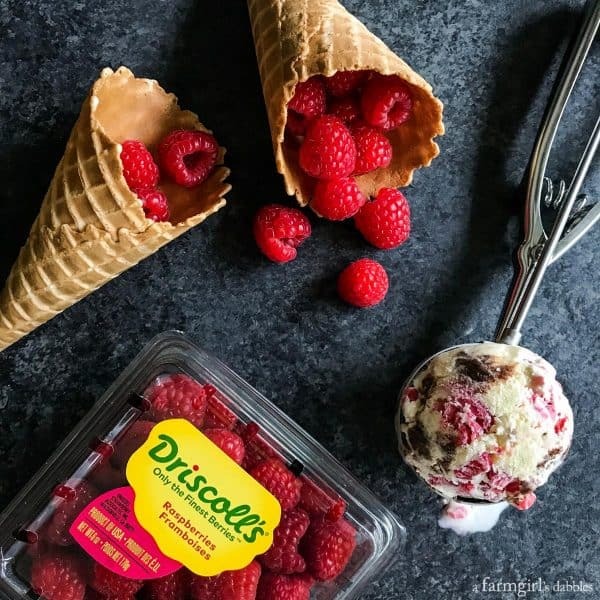 Driscoll’s follows the sun, so we can enjoy raspberries year round. Which I’m completely grateful for. You’ll find their fresh berries in our grocery cart every single week. And raspberries are my absolute favorite berry. 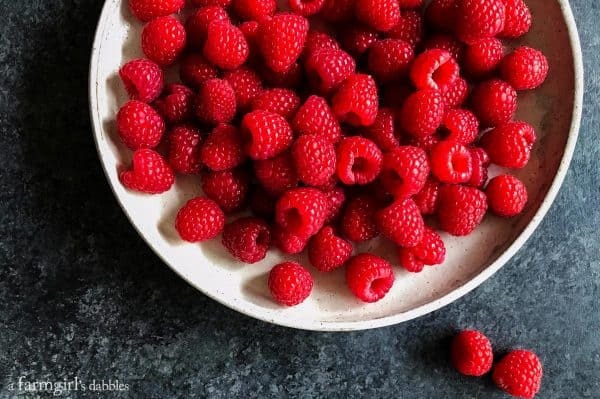 A bowl of bright, sweet raspberries can take an ordinary meal or snack from ho-hum to extra-special in very quick fashion. 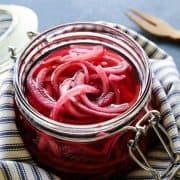 I especially love to tuck a little container of raspberries into our daughters’ school lunch boxes. Because the school routine can wear on them, and I know how much joy our girls get from these berries. And as a thank you to all of us Minnesota raspberry consumers, Driscoll’s is hosting a Minnesota-exclusive #BerryTogether sweepstakes, with a top prize of a 4-night getaway at Madden’s on Gull Lake. Our family has vacationed at this resort, and can vouch for the awesome Up North lake experience. If you win, promise us that you’ll play at least one game of lawn bowling! 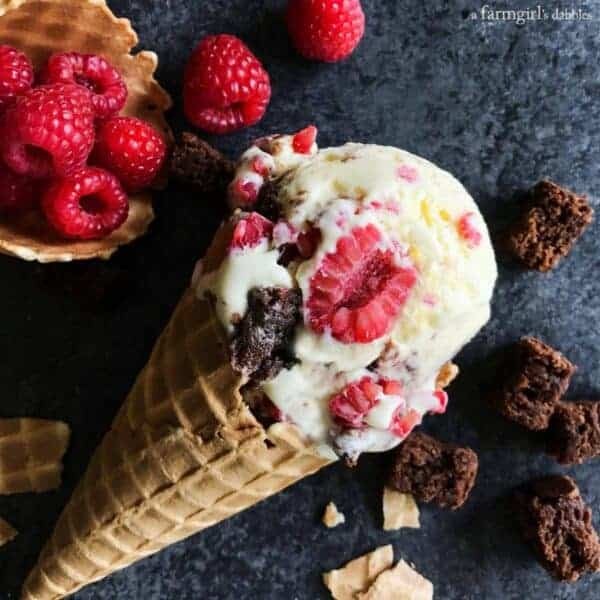 In this fresh raspberry and brownie chunk ice cream, I used our go-to brownies recipe, a favorite of mine since I was a kid. You can find that recipe here (I omitted the sprinkling of chocolate chips at the end, just for this ice cream). Be sure to not overbake the brownies; you want them nice and fudgy. It’s also A-ok to use your favorite boxed mix for brownies…the ice cream will taste just as good, I promise! Warm the milk, sugar, 1 cup of the cream, and salt in a medium saucepan. Stir until thoroughly warmed and sugar dissolves. Remove pan from heat. Add remaining 1 cup of cream to a large bowl. 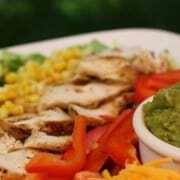 Set a mesh strainer over the top of the bowl and set aside. 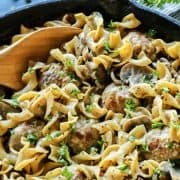 In a medium bowl, whisk the egg yolks. 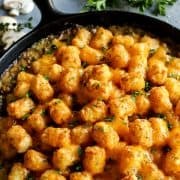 Slowly pour the warmed mixture into the egg yolks, whisking constantly. Then scrape the warmed egg yolks back into the saucepan and place over medium heat. Stir the mixture constantly with a heatproof spatula, scraping the bottom as you stir, until the mixture thickens and coats the spatula. It’s now a custard. Pour the custard through the strainer and stir it into the cream. Add the vanilla and then set the bowl in the prepared ice bath. Stir the custard until it is no longer warm. Then place the custard in the refrigerator to chill thoroughly, at least a few hours or overnight. Pour custard into your ice cream maker and freeze according to manufacturer’s instructions, until you reach a stiff soft serve consistency. Spread half of the ice cream into the bottom of a container. I like to use a 4″ x 8″ bread pan that is about 3″ tall. Quickly sprinkle with half the raspberries and half the brownie chunks. And then add the remaining ice cream in smallish dollops, spreading as best you can. Sprinkle remaining raspberries and brownie chunks over the top. Cover pan and freeze until firm. A couple hours in the freezer will give you a softly frozen consistency, while an overnight freeze will give you a fully frozen ice cream. Vanilla ice cream base adapted from The Perfect Scoop. 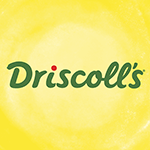 Visit Driscoll’s on their web site. You can also find them on social media on Facebook, Twitter, Instagram, and Pinterest. 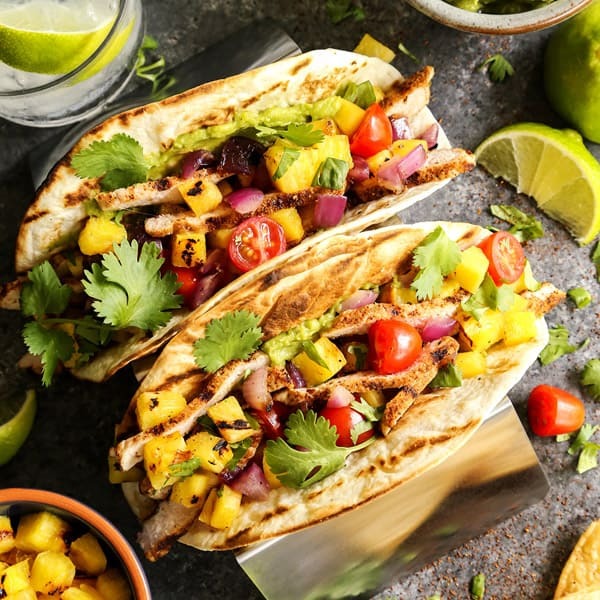 Visit TheFeedFeed on their web site, and find them on social media on Facebook, Twitter, Instagram, and Pinterest. Disclaimer: This #BerryTogether post was sponsored by Driscoll’s and TheFeedFeed. Our family enjoys Driscoll’s berries each and every week of the year. Thank you for supporting us and the brands we so carefully choose to work with. All opinions expressed are our own. beautiful photographs and great ice cream recipe. 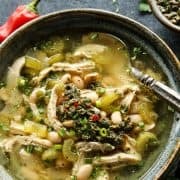 love that you incorporate whole raspberries in it too, definitely not something you’d find in most store brand, so thank you for this recipe! Love your styling in that first photo! But REALLY love the sound of this ice cream. This is seriously gorgeous! I would love this ice cream! This is one gorgeous ice cream recipe. I love raspberries with chocolate. It works so well together. 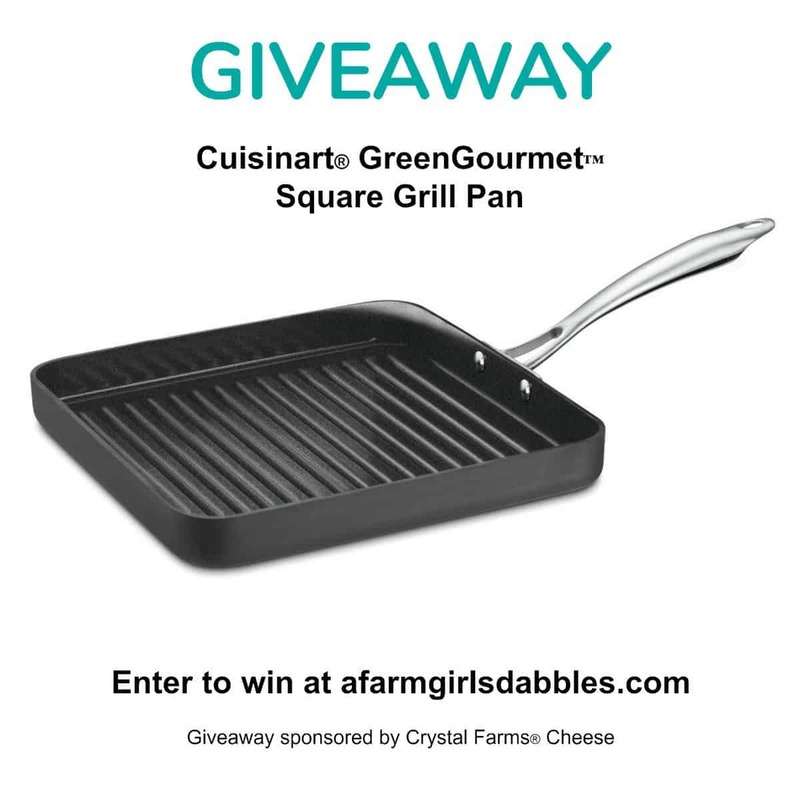 Great giveaway. I was thrilled it was open to Canucks. I’m not sure if anyone else has mentioned it but it only allows you to click Minnesota under state/province for some reason. I entered anyway. Ha. This ice cream is right up my alley!! I LOVE that big, plump raspberry in the center of that scoop! This is the best combination of flavors. I don’t want summer to end so I can make this ice cream over and over again! Please…summer, do not leave us!!!!! 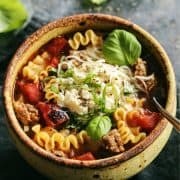 This has all my favorites in one bite! 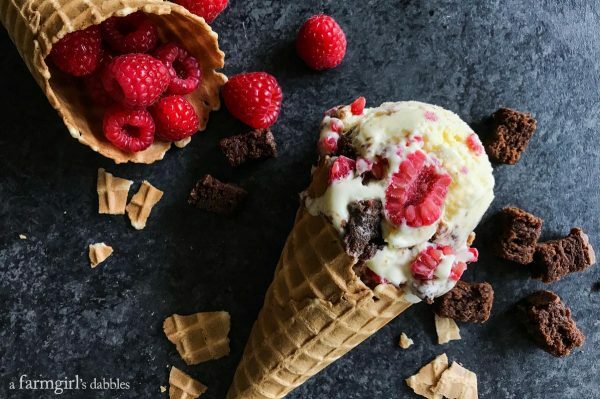 Raspberries with brownies IN ICE CREAM? 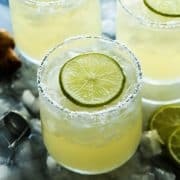 I want a few scoops today! Thanks, Taylor! The PERFECT combo! Those berries look so fresh in the ice cream. You scream, I scream, we all scream for ice cream! Love these flavors! Summer’s not quite over yet! Definitely not. Soaking up every last bit!